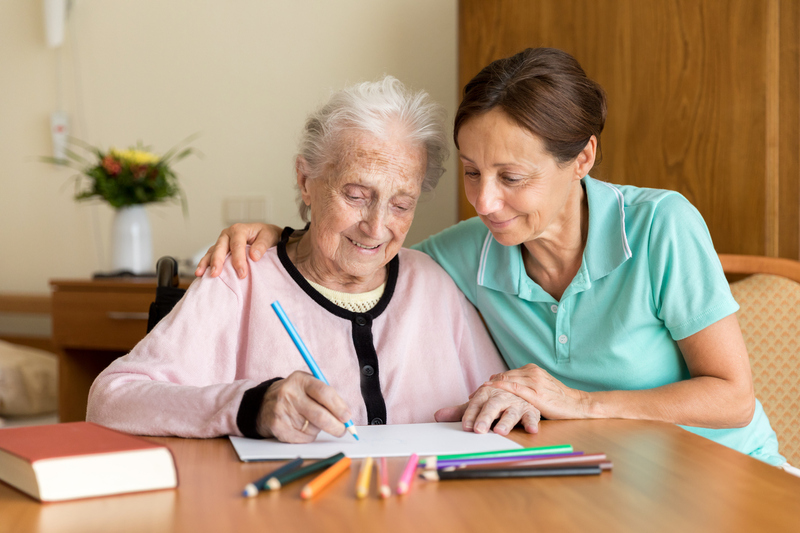 Caregivers share content with relatives. professionally. securely. directly. 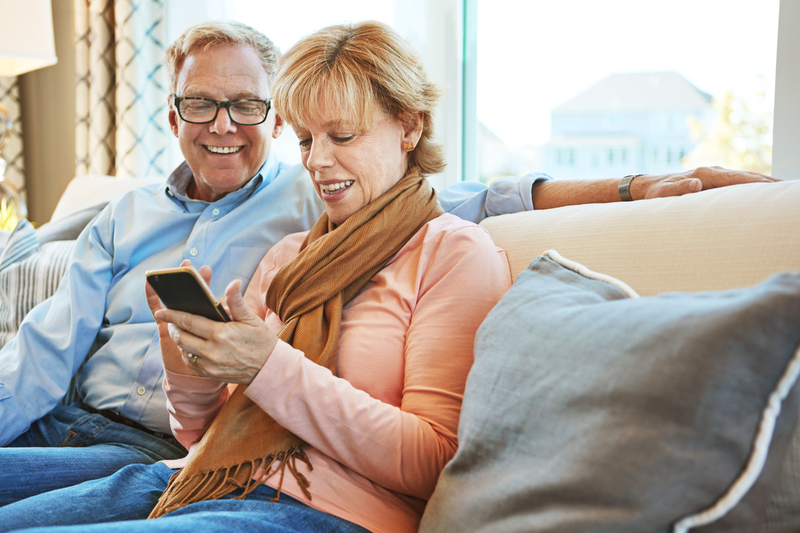 Share photos, videos, text and voice messages and take part in the daily life of your loved one in real time and without the barrier of distance. EU-GDPR compliant exchange through a communication platform, specifically designed for the care industry. Allowing for better and more effective workflows. Two-way communication channels bring care homes and relatives closer together. Increased transparency reassures relatives and empowers caregivers, who in turn receive the appreciation they deserve. 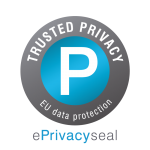 EU-GDPR conformity guarantees highest data security. 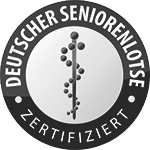 On German servers, the data is 100% secure and the right of ownership remains with the user. Participate and respond directly to meaningful moments and communicate with care givers. With a window into your loved-ones every day life, myo ensures fewer moments are missed. 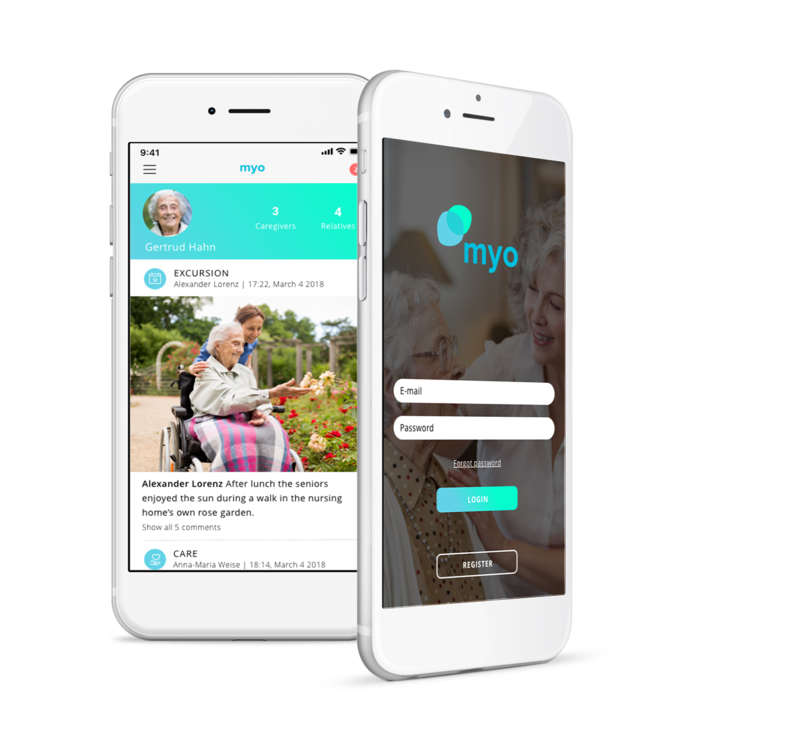 myo was developed by caregivers, for caregivers to give them a voice, make the loving daily care they offer visible, and ensure they receive appreciation for the vital work they do. myo offers a platform for external and internal communication for a modern approach to care built on transparency and trust. All parties now have a stake in the ongoing care of residents. Digital platforms like social media are popular with all age groups and ensure timely communication. myo uses these advantages and adapts its offer to the needs of the nursing and care sector. The App offers better service and greater transparency, and in future it could become a useful tool for the reporting software. We are excited to support this innovative start-up and their development. I have been using the App for 6 months. This gives me wonderful insights into the life of my mother within the nursing home. I can witness directly, how lovingly my mother is being cared for and the photos and videos show me that she feels content. We are always searching for innovative solutions that benefit our residents, relatives and employees. That’s exactly what myo does. The Platform simplifies and professionalizes the communication between caregivers, relatives and residents. Information, Fotos or Videos can be transmitted quickly and easily. This way relatives can participate in the life of their loved ones, even if they sometimes live far away. When I heard about myo, it immediately grabbed my attention. The families now get a chance to participate in the activities of the people that are so close to their heart. This gives them the feeling of relief and reassurance. 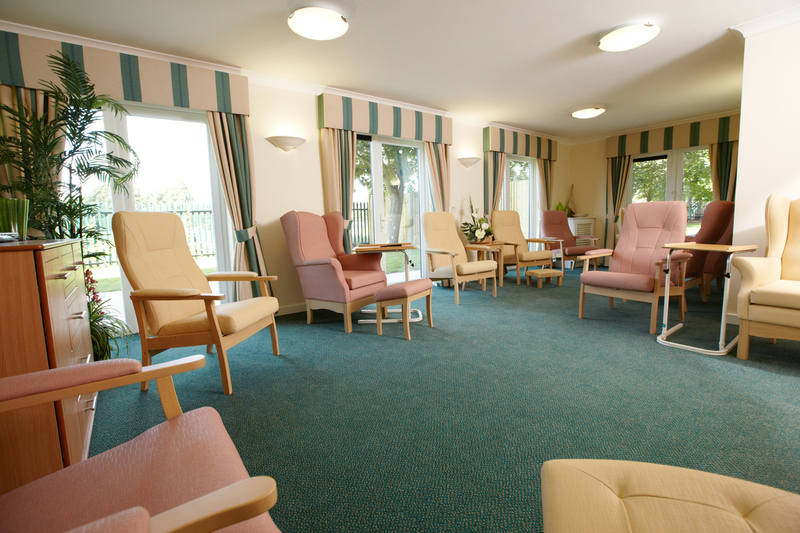 Every care facility now has the chance to visually portray the variety of services and activities they have to offer. I see the use of the platform in various different care and assisted living projects and consider this to be a huge sign of quality. This is how forwards-looking communication with relatives looks like!